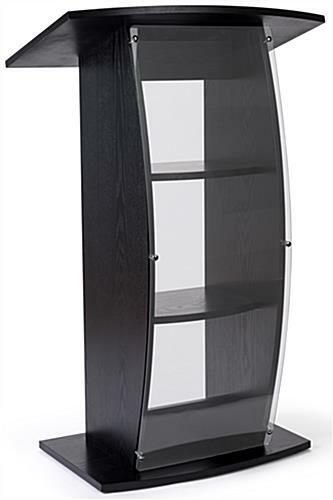 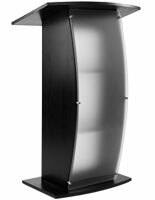 These black podiums with curved acrylic panel feature a contemporary appearance that makes adds to any organization's image. 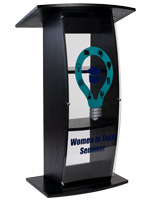 Whether they're used in churches, offices, and schools, their sleek appearance will add to the presentation. 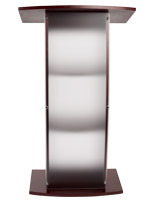 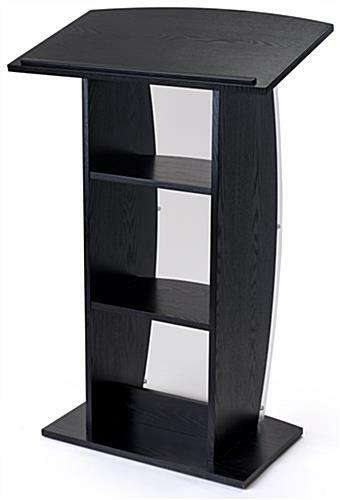 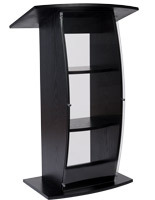 Each of the black podiums has high quality dark veneer and a clear front that looks great in any speaking hall. 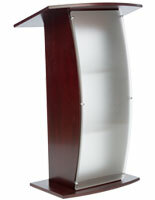 The lecterns also have silver standoffs that completes the picture. 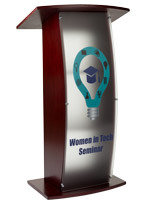 The podiums have two built-in shelves and a large reading surface for holding presentation materials. 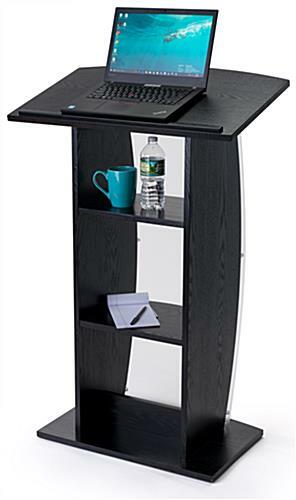 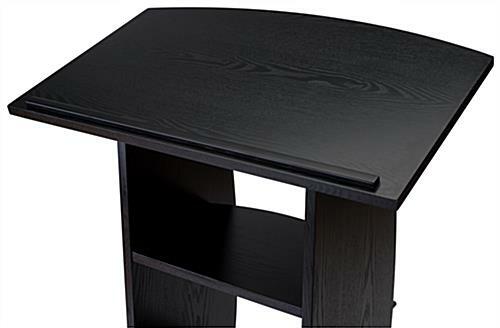 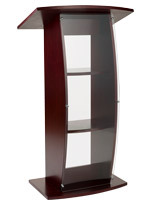 Immediately place these lecterns as they're shipped fully assembled and require no setup. 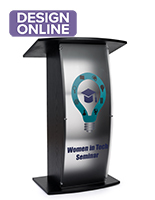 Please Note: Lecterns ship assembled and only require the user to attach the acrylic front panel to the standoffs.